There is no doubt that the ongoing use of fossil fuels for energy is taking its toll on our planet. But making energy-efficient upgrades to limit each home's carbon footprint isn't cheap. Sometimes, it just isn't possible to do all we want to—unless we factor in available tax incentives and credits. In this post, learn about available coupons and incentives for Ontario homeowners who want to make energy-efficient home upgrades. The Save On Energy program is a comprehensive incentive to help Ontario homeowners make energy-efficient home upgrades without experiencing personal financial hardship to do so. It is important to note that choosing to make energy-efficient upgrades can have a positive impact on your home's resale value should you later choose to sell! But for most homeowners, tax write-offs, rebates, incentives, and coupons are helpful short term, so they can afford the upgrades, which then can cut energy costs long-term. Not only can you save an estimated $325 per year on your utility costs by participating in the Heating & Cooling Program, but you can also qualify for as much as $650 in incentives for making energy-efficient upgrades. Cooling incentives Choose between receiving a $250 incentive for installing an Energy Star certified air conditioning system OR receiving a $400 incentive for installing a CEE "stand-alone" Tier 2 air conditioning system. Heating incentive Receive a $250 incentive for installing a furnace that is equipped with an ECM (electronically commutated motor). The peaksaver® PLUS program is designed to help you effortlessly moderate your energy usage on a year-round basis. The program is still rolling out throughout Ontario, so if you find out you don't have access yet, just keep checking back! In order to participate, you need to enroll with your energy provider. Your provider will send a trained technician out to your residence to install a device that helps your existing appliances operate with less energy draw. Example: On weekdays between the hours of noon and 7pm, your water heater and central HVAC will be remotely activated for a period of four hours. As part of your participation, you will enjoy reduced energy costs each month AND get a free energy display to help you take charge of your energy usage. This display will tell you in real-time how much energy you are using, how much you could be saving by turning devices or appliances off, and your overall estimated energy spending. This helpful infographic outlines exactly how the program works starting from the time you sign up. These coupons are designed to help reimburse homeowners who choose to make energy-efficient modifications or upgrades on their own dime. The available coupons do change from time to time, but you can access and download all available coupons right from the website. $5 coupon when you buy Energy Star-certified general use LED bulbs (single bulbs or multipacks of bulbs). $5 coupon when you buy Energy Star-certified specialty LED bulbs (single bulbs or multipacks of bulbs). Specialty includes dimmable, three-way, spotlight, floodlight, decorative, covered, chandelier/candelabra, and other special-use bulbs. $3 and $5 coupon when you buy Energy Star-certified specialty CFL bulbs (single bulbs or multipacks of bulbs). Specialty includes dimmable, three-way, spotlight, floodlight, decorative, covered, chandelier/candelabra, and other special-use bulbs. $3 coupon is for single bulbs and $5 coupon is for multipacks of bulbs. $8 or $15 coupon when you buy Energy Star-certified hardwired indoor light fixtures. $8 coupon is for 1 or 2 sockets and $15 coupon is for 3+ sockets. $10 coupon for Energy Star-certified ceiling fans. Fans must be indoor and hardwired but can come with or without light sockets. $3 or $6 coupon for light use control items. These include motion sensors, timers, dimmers, etc. $3 coupon is for single and $6 is for multipacks. $2 and $3 coupon for weatherstripping. $2 coupon is for foam or V-strip and $3 coupon is for door frame kits. $0.50 coupon for outdoor pipe wrapping kits. $4 coupon for an electric water blanket heater. $4 coupon for outdoor heavy-duty plug-in timers. $4 coupon for advanced power bars that have auto shut-off and timers. $10 or $30 coupon for a programmable thermostat for electric baseboard heaters. $10 coupon is for 1–2 packs and $30 coupon is for 3+ packs. Learn more & download your coupons HERE. If you have an old but still working fridge or freezer that qualifies for the program, you can have it picked up and recycled for free. Not only can this save you on junk hauling costs, but you can save up to $125 per year on your energy costs with your new efficient fridge or freezer. 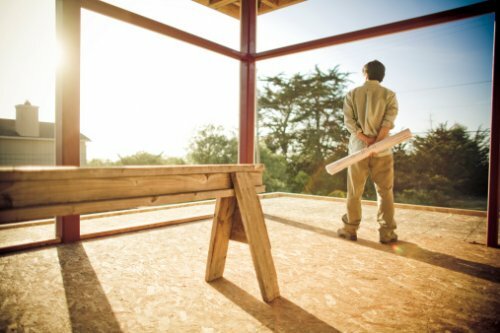 If you are in the process of building and buying a new home, there are a number of energy-efficiency incentives your builder may qualify for. These incentives are rebates for materials costs, to encourage builders to opt for energy-efficient designs. In addition to Save on Energy, there are other energy efficiency programs that your builder may be participating in, so be sure to ask! Today's energy-efficient upgrades and options are designed to save builders and homeowners cash, and save the planet at the same time. And you get safer, more efficient, and cost-effect fixtures and appliances that offer you and your family peace of mind as well as lower energy bills! Shipton's Heating and Cooling is also currently offering a promotion for 5% cash back in Shipton’s Bucks. Contact us today to see what rebates and incentives you might qualify for.